Hiring Apprentices, Students or Co-Ops? 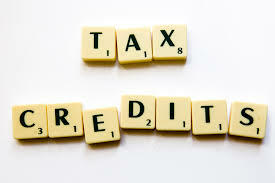 Get Tax Credits! As the fall is approaching, many of us are getting busier trying to get great results before the end of the year. Some of you will hire new employees (or you may have already done it) to achieve your goals. And for those of you who employ (or employed up to 4 years in the past) students, co-ops or registered apprentices, we offer to apply for tax credits. Today I’d like to draw your attention to 2 great tax credits, Co-operative Education Tax Credit and Apprenticeship Training Tax Credit, that allow you to get some money back. Qualifying businesses can claim 25% of eligible expenditures (30% for small businesses). Currently, there are over 150 skilled trades in Ontario in four sectors: construction, industrial/manufacturing, motive power and service. And over 120 of these trades are eligible for the tax credit. So, don’t miss these opportunities and act now. For more information simply go to the links provided above or just contact us and we’ll check your eligibility. P.S. Simply reply to this email and we’ll guide you through the next steps. Please also let us know what your fiscal year-end is in your response. Hope to hear from you soon.